So Why Are There Two Different Versions? How does RISK impact you every day? The #1 definition in the dictionary defines RISK as possibility of loss or injury. There are things that each of us do every day that involves RISK. The food you eat, the habits you have, your daily routine--all full of risks in some way, shape, or form. One of the riskiest things I do just about every single day is drive my car. But I don’t usually think about this being a risk at all. I take it for granted. Could I get in an accident? Could I get injured or possibly die? Of course. Yet I estimate that the likelihood of these things happening to me are low enough that I willing get behind the wheel without question. Maybe it’s because I know that my car has anti-lock brakes, seat belts, and airbags. Maybe it’s because I know that the car I drive has been through rigorous safety testing. Risk per ISO 14971 is defined as the combination of the probability of occurrence of harm and the severity of that harm. The intent behind Risk Management is to identify, evaluate, analyze, assess, and mitigate potential product issues. Risk Management is a total product life-cycle process. I remember the first day on the job as a medical device product development engineer. During the orientation, I was shown a company video that included employees throughout the organization. Every person shown on the video talked about a common theme: realizing that the medical devices they were part of bringing to market could someday be used on a friend, family member, and possibly themselves. It started to hit me. The gravity and importance of the job I was about to start. Medical devices that I designed and developed could be used on my mom, sister, kids, and so on. Imagine this from the perspective of a patient going in for any medical procedure. The patient probably thinks very little about the risks of the medical devices about to be used. Generally, the patient trusts the expertise of the clinicians. The patient seldom wonders if the products used by the clinicians are safe and have been thoroughly and rigorously tested. The patient, often unknowingly, accepts the risks of the medical device you and I design, develop, and manufacture. And this is exactly why Risk Management is so important to the medical device industry. You have to know that the medical devices you are involved with bringing to patients and end-users are safe. My entry into the medical device industry was not a planned career path. Within the first few months of starting as a product development engineer, I knew that I would spend the rest of my life involved with the medical device industry. Because I knew then, as I do now, that I have a positive impact on the quality of life. Products that I have helped design, develop, and bring to market have have improved the quality of life for thousands and thousands of people. And today, I am fortunate to have an opportunity to work with many others who have the same purpose and mission. If you think about it, the ideal of improving the quality of life is the very premise of product risk management. The topic of Risk Management is one that can be daunting, and at times confusing. Thankfully, ISO 14971 exists and is helpful in providing guidance and direction. ISO 14971 provides a thorough explanation of relevant terms and definitions. And the standard defines a risk management process. I’ve written this guide to align with ISO 14971 and to provide you additional tips and insights for medical device risk management. For me, it is very interesting to observe and listen to feedback and comments about the topic from the perspectives of the experts, the regulators, the consultants, and medical device companies. Many times, it seems as though each of these perspectives has a very different view of the world regarding medical device Risk Management. At times, it seems as though no one agrees. The practice of Risk Management in the medical device industry is also intriguing to me. By and large, what I have observed is that Risk Management is too often something we do because we have to--a checkbox activity. It seems that we seldom use Risk Management as a tool to help us design, develop, and manufacture safer medical devices. To leave you with an understanding of what is expected from medical device regulators regarding Risk Management. To help you use Risk Management as a tool to design safer medical devices by providing a few helpful tips and pointers to guide you. To share with you all the steps that you need to define and address within your Risk Management procedures. 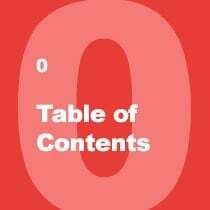 Please note that the focus of this guide is strictly medical device product risk management. I will not explore other “risk management” topics such as business or project. Realize that nearly every medical device regulatory agency has placed the topic of Risk Management front and center. In fact, regulatory agencies, including FDA, are now using risk-based processes throughout their own internal processes when reviewing device submissions and conducting inspections and audits. Know this: U.S. FDA, Health Canada, EU Competent Authority, Australia TGA, and Japan MHLW all require you to have a Risk Management process defined and Risk Management documentation for your products. And all these regulatory agencies endorse ISO 14971 Medical devices -- Application of Risk Management to Medical Devices. Yes, all these standards make reference to risk management (and ISO 14971). Did you notice ISO 13485 is on that list? This is significant because the ISO 13485 standard is specific to quality management systems. The expectation is that you manage risk throughout the entire product lifecycle and throughout your entire QMS. (And with the pending revision to ISO 13485 anticipated in 2016, the tie to Risk Management will only become more significant). I could share with you a history lesson on the genesis and evolution of medical device risk management. While there may be some merit in going through this history, I suspect you are probably more interested in the present state of Risk Management, as well as where things are headed. The current “state of the art” regarding risk management is described in the standard ISO 14971 Medical devices -- Application of Risk Management to Medical Devices. The EN version is applicable if you are selling medical devices in Europe. I explain why there are two versions of ISO 14971 below. Note, that throughout this guide, when I reference “ISO 14971”, this applies to either version. When the information provided applies to only one of the versions, this shall be stated as such. ISO 14971 is a very good standard. While not prescriptive per se, the standard does a very good job of explaining the requirements, expectations, and stages of a risk management process. 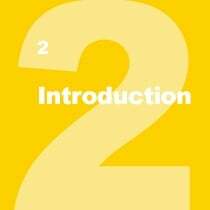 Additionally, the standard provides several informative annexes which provide more in-depth explanations and examples. While this guide provides an overview, walk-through, and practical application of ISO 14971, I highly recommend that you do make ~$200 decision to actually purchase the standard (no, I don’t get a commission). It is worth it. If you are pursuing the European market, you do not need to purchase both ISO 14971:2007 and EN ISO 14971:2012--just purchase the EN version. The medical device regulatory world has adopted this standard. And I see no reason to abandon this notion. You should also be aware of ISO/TR 24971:2013 Medical devices -- Guidance on the application of ISO 14971. 24971 (no, it’s not a typo) is a guidance document specifically for ISO 14971. If you are seeking additional insights and guidance on application of ISO 14971, the ISO/TR 24971:2013 guidance is helpful. EN ISO 14971:2012 applies only to manufacturers placing devices on the market in Europe. In the rest of the of the world, ISO 14971:2007 remains the applicable standard. The 2012 version came to be to harmonize with three EU Medical Device Directives (MDDs): 90/385/EEC, 93/42/EEC, and 98/79/EC. The normative, or core text, of both standards is the same. The big difference is that EN ISO 14971:2012 introduced three new annexes ZA, ZB, and ZC. These are commonly referred to as the (now infamous) “Z” annexes. 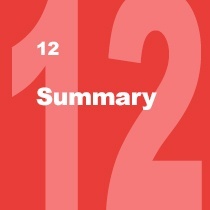 Until the 2012 version, the annexes of ISO 14971 were considered as informative. The Z annexes, though, were developed specifically to align with the EU medical device directives. You should understand the impact of EN ISO 14971:2012 and your company. Just know that your risk management process can align with both versions of ISO 14971. Aligning your Risk Management process with EN ISO 14971:2012 will mean that you also align with ISO 14971:2007. However, the opposite is not true because of the 2012 Z annexes. Designed to address the needs of users and patients. Designed to meet inputs and requirements. Proven to meet applicable standards. Your Design Controls will prove that your medical device is safe for use. Does this sound like Risk Management? There is a very strong correlation and relationship between Design Controls and Risk Management. With Design Controls, you also identify, evaluate, analyze, assess, and mitigate potential product issues. Design Controls and Risk Management address design, development, and manufacturing of medical devices from slightly different perspectives. If you are thorough with defining and documenting User Needs, Design Inputs, Design Outputs, Design Verification, Design Validation, and Design Reviews, then you will be on the right track towards ensuring your medical device is safe. Prior to clinical use, you have to know without a doubt that the product is safe and/or determine that the medical benefits outweigh the risks (which should be documented in a risk / benefit analysis). Embrace this in your own medical device product development efforts. Realize Design Controls and Risk Management are related. Realize that your overall goal in medical device product development and manufacturing is to prove and demonstrate that your product meets clinical needs, design inputs and requirements, and is safe and effective. Having solid Design Controls in place is NOT a substitute for Risk Management. Both are needed. Realize that Risk Management is just as important (maybe more so) than Design Controls. Realize that Risk Management is a way to evaluate your product from a different perspective. Realize that good Risk Management involves a series of tools, when used properly, will drastically improve the quality, safety, and effectiveness of your medical device. The best practices of medical device product development have a good flow between Design Controls and Risk Management. For example, as you identify hazards and hazardous situations, these should “feed” into the Design Controls process in defining User Needs and Design Inputs. When you evaluate risks, you will need to establish Risk Controls to mitigate and reduce risks. Design Outputs, Design Verifications, and Design Validations become these risk controls. In fact, using Risk Management as a real tool will help you with Design Verification and Design Validation planning. Let me explain. 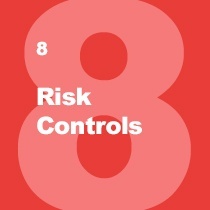 Risk Controls are used to help identify ways to reduce the risks. Your Risk Controls should align with and include Design Verification and Design Validation activities. Are you starting to see how closely related Risk Management and Design Controls should be? Let’s start to dive into the details of Risk Management. 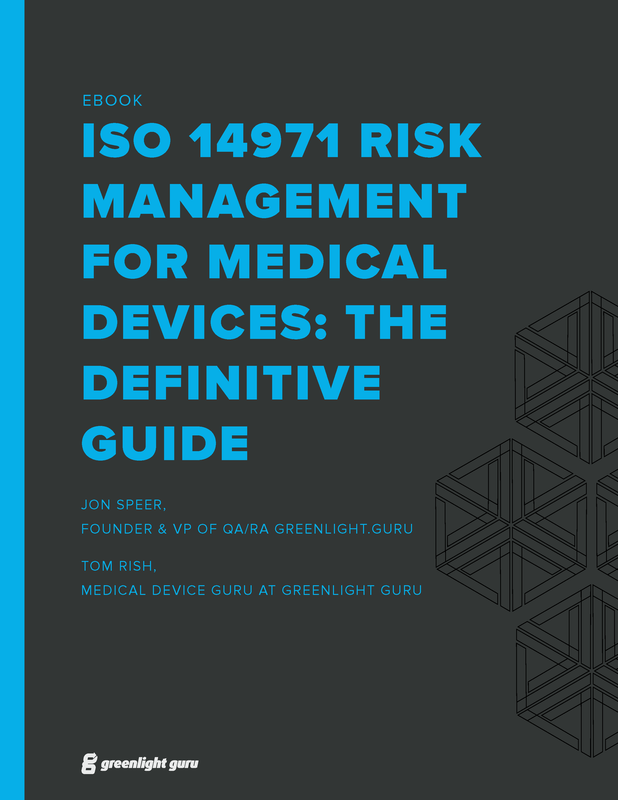 As I go through this guide on medical device risk management, I will often reference the ISO 14971 standard (the reasons for this are described earlier in this guide). I suggest that you do the same. Again, unless otherwise stated, “ISO 14971” will apply to either version of the standard. Medical device Risk Management requires top management involvement. It requires that a company establish a Risk Management Policy. The infographic below aligns directly with the ISO 14971 standard on a one to one basis and is a high-level overview of Risk Management process. Share this image on your site. If you are developing medical devices in this day and age, you absolutely must have an established Risk Management process defined, documented, and implemented. As you go through this guide, I will share with you all the steps that you need to define and address within your Risk Management procedures. Risk Management needs to involve more than just engineers and product developers. You need to include end-users, marketing, sales, business development, quality, regulatory, and manufacturing on your product Risk Management team. THIS IS VERY IMPORTANT: Risk Management is an enterprise-wide process. All of these functional areas provide different perspectives and experiences for the medical devices you are designing, developing, and manufacturing. It is important to ensure your Risk Management efforts are holistic. There are several key terms pertaining to Risk Management defined in ISO 14971 that you definitely need to understand. Realize that in practice, many people use the terminology incorrectly and/or interchangeably. For example, someone might use “risk analysis” to refer to “risk management”. When this happens, I recommend asking the person to explain what they mean. I’ve witnessed (and probably participated in) several disagreements where the terminology created confusion. Getting a grasp on the list of terms above is critical to understanding medical device risk management. Often times, it is assumed that the topic of Risk Management is only the responsibility of the medical device product developers and engineers designing new products. While it is true that product developers and engineers do play a pivotal role, medical device Risk Management is a much more comprehensive process that should span all functional areas of a medical device. This means that, in addition to product developers and engineers, other functional areas including business development, marketing, manufacturing, sales, and end-users should be an integral part of your Risk Management process. The cornerstone of a medical device company’s risk management process must be executive management. Executive management is the ultimate authority within the company. This resource, whether he / she realizes it or not, has the responsibility for determining whether the product risks are acceptable or not. 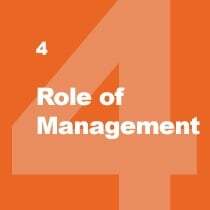 Executive management has the responsibility for making sure there are adequate and appropriate resources for conducting risk management activities. Executive management has the responsibility of ensuring the company’s risk management processes are adequate and effective. Executive management must review the company’s risk management processes for effectiveness. This means that the company’s risk management processes are described, documented, and controlled as part of quality system procedures. Executive management also has the responsibility for defining the company’s risk management policy. 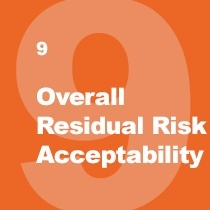 This involves determining the risk acceptability criteria. The criteria should be based on solid, objective evidence, such as industry standards. Generally, a Risk Management Policy is a top-level document included within the company’s quality management system. A Risk Management Plan is a product-level document. The Risk Management Plan should identify the risk management activities you anticipate and plan throughout the product’s lifecycle. 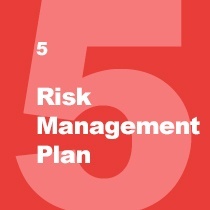 The Risk Management Plan is dynamic and should be revisited and updated often. This is not a do it one time and it’s done activity. 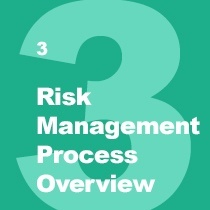 Scope of the Risk Management activities. Define the product included. It is possible to have multiple products described within a single Risk Management Plan. Describe the intended use of the product(s). Identify all Risk Management activities planned throughout the product lifecycle. Define roles and responsibilities. Identify the Risk Management team that will be reviewing and approving risk documentation. Specify methods to verify Risk Control measures are implemented and reduce risks. 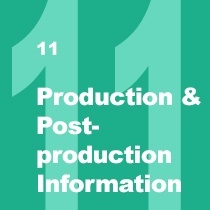 Define how post-production information will be captured and fed into Risk Management activities for the product. The Risk Management Plan evolves and should be kept current--even after product development is completed. 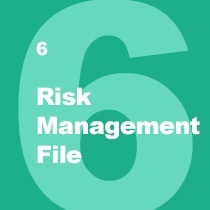 A Risk Management File (RMF) is the place where you keep your risk management activities, documentation, and records. A Risk Management File can be structured and organized by an individual product or for a product family. It is possible for the RMF to be a reference / pointer document and identify location of the contents, although I do not recommend this approach. This approach is full of opportunities for document and record-keeping errors. A best practice is to keep the contents of the product Risk Management File together in a single location for ease of access and use. This is very difficult to manage and maintain using a paper-based approach. And you can search far and wide for a software solution that is compliant with ISO 14971. But I’ll save you a bit of time and effort and point you to the only software solution that aligns with ISO 14971: Greenlight Guru (That’s part of the reason we built it). If you’d like to see just how much easier managing and maintaining a Risk Management File is with Greenlight Guru vs. a paper-based approach, click here to get a free demo. ISO 14971 discusses Risk Analysis and Risk Evaluation as separate sets of tasks that together comprise Risk Assessment. As a practical matter, I will generally conduct Risk Analysis and Risk Evaluation at the same time. To do so, it is important for you to understand the tasks involved with each. The starting point for identifying specific risks related to medical device products is Risk Analysis. There are lots of ways you can conduct Risk Analysis. ISO 14971 briefly describes a few techniques in Annex G, including preliminary hazards analysis, FMEA, and fault tree analysis. Know that each of these techniques has pros and cons. You should also know that if you are using FMEA only for your Risk Management efforts, you are NOT meeting the intent of ISO 14971. FMEA is a reliability tool that assumes single-fault failures as part of analysis. Risk Management is broader than just failures; risks exist when medical devices are used without failure modes. In my opinion, as you go through Risk Analysis, Risk Evaluation, and Risk Controls, there is a good flow and progression. You should define an approach that helps you document and capture all of these Risk Management steps (which I explain in the Ideal Risk Management Workflow section of this guide). The Risk Analysis Process is typically described in your company’s Risk Management procedure. The Risk Analysis must identify the medical device, as well as who was involved, risk analysis scope, and date(s). When you start your Risk Analysis, you should work from a documented intended use statement. Yes, this should be the same intended use that you capture as part of Design Controls when defining User Needs and Design Inputs. Knowing the intended use is important for Risk Management. This statement helps define the scope and will be instrumental as you identify hazards, harms, etc. Once you have defined the intended use, chances are you will be able to also identify cases of foreseeable misuse too. You should define these and include intentional and unintentional misuse cases. Yes, you should consider off-label uses of the device. There will be hazards from your product being used correctly and as intended. There will also be hazards from foreseeable misuse. The safety characteristics included in your medical device should be identified. Things like special guards or redundant features are good examples. One excellent way to ensure safety characteristics are established and document is to define these as specific Design Inputs in your Design History File. Hazards are potential sources of harm. For your product, you need to identify all the possible hazards. ISO 14971 Annex E contains a great list of examples of hazards. To identify hazards, understanding the intended use is important and necessary (as well as foreseeable misuse). A good technique for identifying hazards is to go through all the steps required for your product to be used. At each step, identify if there are any potential sources of harm. Keep in mind that “harm” is generally focused on the patient. But it should also consider end-users, damage to property, and the environment (I discuss harm further on in this guide). You may be wondering how you can possibly identify hazards when you do not know exactly what your medical device is going to be. I understand this might be challenging early on during product development. And I encourage you to attempt to identify hazards as early in the medical device product development process as possible. When you identify hazards early, you have an opportunity to make sure that your product’s User Needs and Design Inputs are defined in a way to address any potential concerns. Doing so ensures that your Design Controls and Risk Management activities are in sync. And there is only one software platform designed specifically to integrate Design Controls and Risk Management. Yep, you guessed it: Greenlight Guru. If a hazard is a potential source of harm, a hazardous situation is a circumstance where people, property, and/or the environment is exposed to one or more hazard. For a hazardous situation to occur, there has to be a foreseeable sequence of events that lead to this. Once again, understanding the intended use and the steps involved in using your medical device should help guide you through this process. The foreseeable sequence of events that someone will go through in using your product, which can result in a hazardous situation, should also be identified. As you can see from the provided example, in order for the Hazardous Situation to occur, there are a series of things that must happen first (Foreseeable Sequence of Events). IMPORTANT TIP: Hazards and Hazardous Situations exist for every single medical device. This is 100% true even if the medical device is used exactly as designed, intended, and described. Hazards and Hazardous Situations are much broader than just failure modes. Once a Hazardous Situation is identified, you need to identify all the possible harms. Each Hazardous Situation is likely to have multiple possible harms. Capture each. Once harms are identified, you need to estimate the risk of each harm. I should also remind you of the definition of harm. Harm is physical injury or damage to the health of people, or damage to property or the environment. So risk estimation requires you to identify two things: severity and probability of occurrence. A common technique that is used is defining descriptions for various levels for both severity and probability of occurrence. Here is an example of a severity and occurrence table. 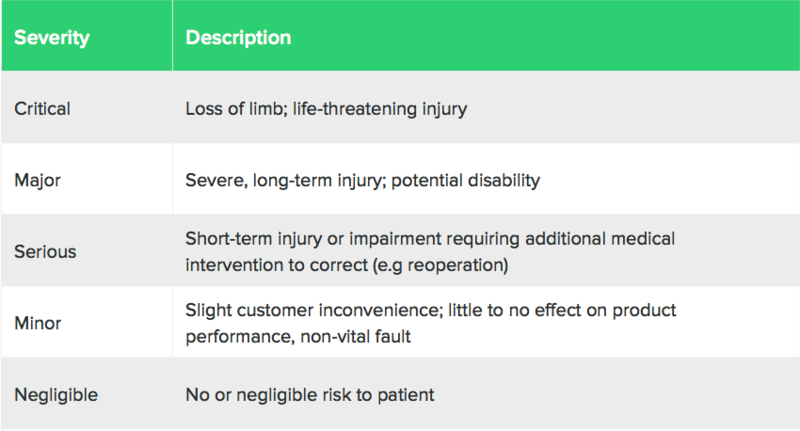 The severity levels and descriptions should align with your medical devices. Here is an example of a probability of occurrence table. Often times, probability of occurrence might includes quantitative terms (such as the example above). Sometimes this can be difficult to estimate because your product is new and/or there is little data available. Note that there is no medical device industry standard for severity and probability of occurrence. For each Hazardous Situation, you need to estimate the Severity and estimate the Occurrence in order to ultimately estimate Risk. A common technique for this is to establish a Risk Acceptability Matrix (which I will expand on further under Risk Evaluation). The table below shows the occurrence and severity levels. As you can see, risk levels have been defined as either “low”, “medium”, or “high”. Once Risks for each Harm has been estimated, you now need to evaluate these risks to determine if risk reduction is required. In the section above, I provided a sample of a Risk Acceptability Matrix. In this example, I identified three risk levels or “zones”: low, medium, and high. Your risk acceptability does not necessarily need to have three zones. 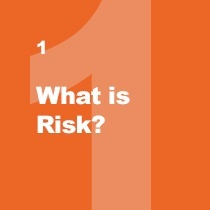 A common practice for Risk Evaluation is to identify which risk zones are acceptable and which require risk reduction. This is something that you need to define in your Risk Management Procedure and Risk Management Plan. For those following ISO 14971:2007, it is very common for the risk acceptability to relate to the risk levels (as described above). Typically, low correlates to acceptable and high correlates to unacceptable. And medium fits into what is often referred to “as low as reasonably practicable” or “ALARP”. Items with unacceptable risk levels require risk reduction. And those in the ALARP zone are generally considered for risk reduction as well. For those following EN ISO 14971:2012 (remember, required for EU), all risks identified--regardless of risk level--must be reduced “as far as possible.” This means you need to consider risk reductions for all risks--regardless if the level is low, medium, or high. This is one of those items discussed in the Z annexes I referred to earlier. Now that you have conducted a Risk Analysis and Risk Evaluation, you are now ready to identify Risk Controls. 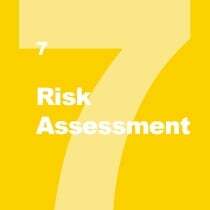 During Risk Evaluation, you identified items that require risk reduction. Risk Controls are about reducing identified risks to acceptable levels. Risk Controls are measures that you take with your medical device to reduce the risk. While it is possible to reduce the severity of an identified harm, generally speaking, a Risk Control will have the most significant impact on the probability of occurrence of a harm. Risk Controls can include a wide array of options. All too often, when Risk Controls are identified, they are more likely to involve adding additional information to a label or instructions for use. Risk Controls should be focused on the specific design features first and labeling as a last resort. In fact, the 2012 version states the information for safety is a requirement of medical devices and can NOT be used to reduce risk. And yes, it is possible to include multiple Risk Controls to reduce a risk. This is actually a best practice. I’ve shared a few times throughout this guide on the connection between Design Controls and Risk Management. Risk Controls is an area with very strong ties to Design Controls. In fact, another best practice is to identify specific Design Outputs, Design Verifications, and/or Design Validations as your Risk Control measure. Using Greenlight Guru’s software allows you to easily link Risk Controls to specific Design Controls (and this is the only solution available on the market for this). Once Risk Controls are identified, the next step is to implement them. And if you follow my tip above about using Design Outputs, Design Verifications, and Design Validations as Risk Control measures, then implementation is a bit easier since these items are required as part of your Design Controls process. Once Risk Controls are implemented, then you need to verify that this has happened and determine the effectiveness of the measures taken. Record of this shall be documented. Now that Risk Controls have been implemented and verified for effectiveness, it is now time to re-evaluate the risks. You are going to use the same criteria you established for severity, occurrence, risk levels, and risk acceptability as discussed before. The objective is to evaluate the residual risks to determine if the risk level has been reduced to acceptable levels (or if following EN ISO 14971:2012 is reduced as far as possible). In the event the residual risks are still unacceptable, revisit Risk Controls to identify other means to reduce. The concept of a risk / benefit analysis is this: the medical benefits of the medical device outweigh the residual risk. This is another area where the 2007 and 2012 are slightly different. I’ll discuss 2007 version first. After you identify Risk Controls and evaluate residual risks, it is still possible that you will have some risks that are still in the unacceptable level. In these cases, it might make sense to conduct and document a risk / benefit analysis (RBA). The RBA must be documented and provided objective evidence and rationale for why the medical benefits outweigh the unacceptable risks. If you are able to do so, the RBA is a special provision for moving forward with unacceptable risks. Please note that the risk / benefit analysis topic can be a slippery slope. You should definitely take every possible measure to reduce the risk first via Risk Controls. In the 2012 version, a RBA is required for all risks. And as noted, all risks shall be reduced as far as possible. Realize that EN ISO 14971:2012 does NOT allow you to use financial reasoning in your RBA. If so, then you need to add the hazards and hazardous situations and go through the risk management process steps identified throughout this guide. So far, you have evaluated the individual risks identified for your medical device. The next step is to now evaluate the overall residual risk acceptability of the medical device on its whole entirety. To do so, you are going to use the same severity, occurrence, risk level, and risk acceptability criteria you use throughout the process. If you determine that the overall residual risk of the entire product is not acceptable, this is another case where you can conduct a risk / benefit analysis. The overall RBA should be included with your Risk Management Report. If you determine that the overall residual risk of the entire product is acceptable, document this decision and support your rationale. I recommend including this in your Risk Management Report. Before going to market with your medical device, the results of all steps in your risk management process shall be reviewed to ensure completeness. You need to establish a Risk Management Report which will summarize all your risk management activities and include any risk / benefit analyses and explanation of overall risk acceptability. The Risk Management Report should also discuss your plans for evaluating risks in production and post-production. 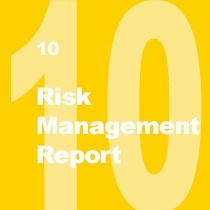 I recommend that you have executive management in your company approve the Risk Management Report. Risk Management is a total product lifecycle process. Unfortunately, risk management efforts have a tendency to trail off and be forgotten once a product is launched. Please don’t let this happen to you! Your product Risk Management File needs to be a living document. Very few companies have figured out how to ensure RMF is living after product development. However, Greenlight Guru’s software allows you to keep your RMF documents readily available to update with production and post-production information. You need to consider and document production related risk management activities and events. You need to ensure that post-production processes that you have in place to support your QMS are feeding into your Risk Management process. Complaints need to tie into Risk Management. Did the complaint identify a new hazard or hazardous situation not captured? Does the occurrence of harm align with what you estimated? Customer feedback needs to tie into Risk Management. Did you learn something about your product that impacts the Risk Management? Non-conformances need to tie into Risk Management. CAPAs need to tie into Risk Management. The point is this: Once you begin manufacturing and launch your medical device into the market, you are going to learn a great deal about the product. You need to make sure that your Risk Management documentation is current and as best as possible, an accurate reflection of the actual risks your product poses. One poor practice I have observed is adding a “risk” section to CAPA, complaint, non-conformance, and other post-production documents and forms. I do not recommend taking this angle. Yes, these forms should identify whether or not risk management is impacted and require an explanation if not. If risk is impacted by one of these post-production events, do yourself a HUGE favor and make an update to the actual Risk Management File that you worked so hard on during product development. Risk Management can be a difficult process. Use ISO 14971 and this guide to help make it easier. You have to tie Design Controls with Risk Management. Risk Management needs to be living throughout the entire product lifecycle. And for all these reasons, we developed Greenlight Guru. To help you with Design Controls and Risk Management. To help you align with regulations. As easily as possible. Designed specifically and only for medical devices. You can definitely try to manage all this with paper. I did this--15 years ago. There is no reason that you have to take that kind of risk today. We've built Greenlight Guru especially to solve the unique challenges medical device companies face with Design Controls and Risk Management. If you’re ready to get serious about your risk management and product development efforts, I would encourage you to give our software a look. EN ISO 14971:2012 Risk Assessment Explained in 5 Minutes… Using the Grossest Example Ever? Jon is the founder and VP of QA/RA at Greenlight Guru (quality management software exclusively for medical device companies) & a medical device guru with nearly 20 years industry experience. Jon knows the best medical device companies in the world use quality as an accelerator. That's why he created Greenlight Guru to help companies move beyond compliance to True Quality.